We went up to Minnesota last year in July, and had a fun time. Other than catching connecting flights at MSP, this was our first time in the state. We headed up to the northeastern parts, all the way up to the parts that abuts with Canada. We drove up there via Madison, Wisconsin, stayed the night there, ate, drank, and generally were very merry. Met two friends for breakfast at Mickies Dairy Bar, an old Madison establishment that turned out to be Quite Alright. As drove through Wisconsin countryside, a mama bear and her two cubs crossed our way. Further up, we saw bald eagle feasting on carrion, roadkill perhaps, by the roadside. Since this was July 4th weekend, I suppose we could consider the bald eagle sighting a Quite Meaningful Event. At Grand Marais, Minnesota, we ate breakfast at the Naniboujou Club Lodge, a place I stumbled upon when scrolling through Google Maps. We liked the place so much that we went back there to eat dinner. 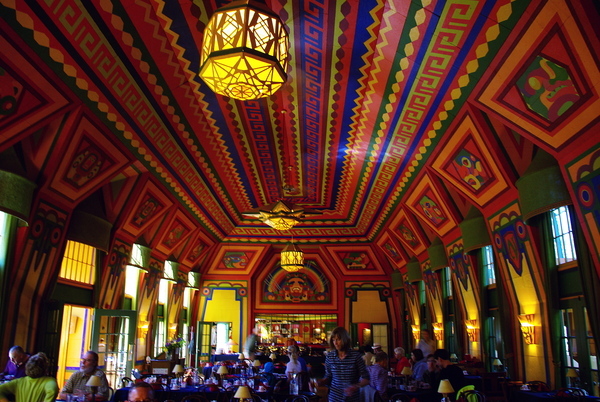 Figure 2: Naniboujou Lodge's dining room. The last time we came by Lake Superior was the year before, when we visited the Upper Peninsula of Michigan. 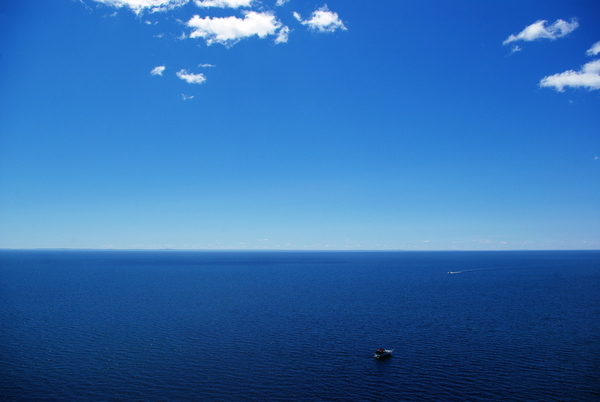 We gawked a lot at Lake Superior, which we consider the Truly Superior Lake of All Great Lakes: this is the largest, deepest, clearest, bluest, coldest, and greatest great lake of them all, and it is a marvelous sight to behold. We hiked a bit in some of the state parks along North Shore Drive, and visited a few waterfalls. One of the waterfalls – The High Fall in Grand Portage State Park – happened to be sharing its river (Pigeon River) with Canada, so I suppose we "saw" Canada too, for the second time. Based on what we've seen Canada consists of mostly trees and a river. 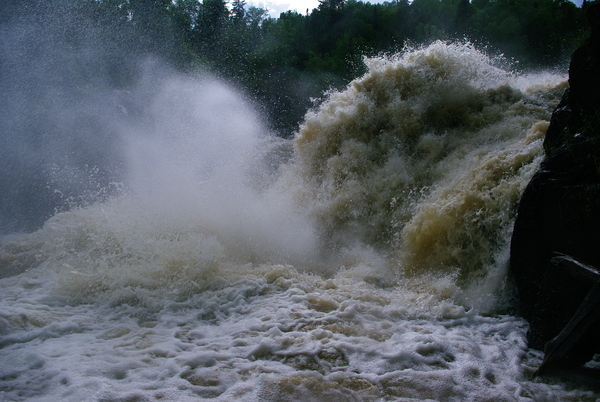 Figure 5: Devil's Kettle waterfall, Judge CR Magney State Park. 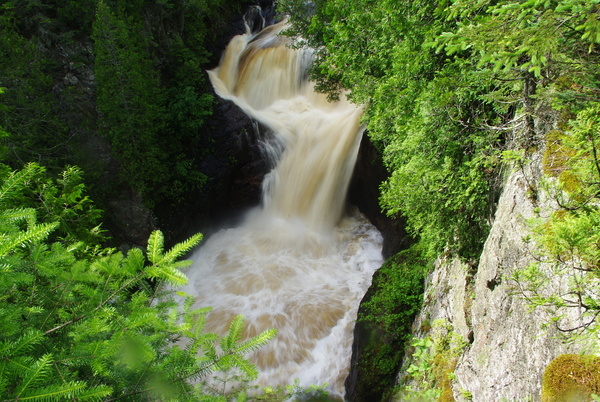 Figure 6: Devil's Kettle waterfall, Judge CR Magney State Park. 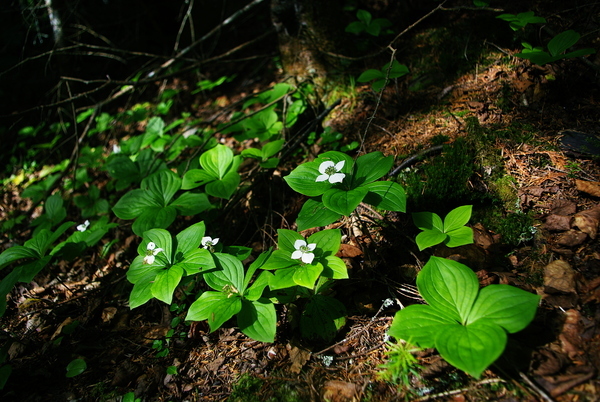 Figure 7: Bunchberries in forest floor. 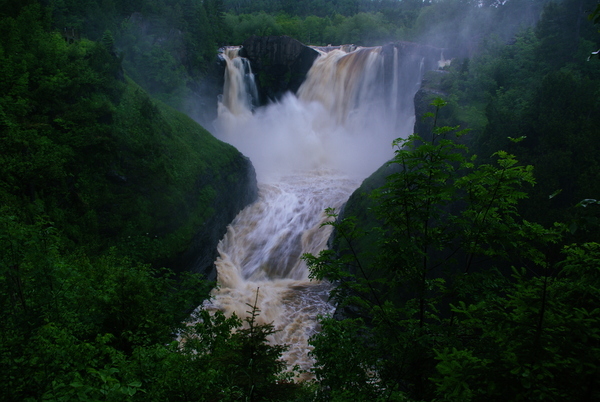 Figure 8: High Falls, Grand Portage State Park. Figure 10: Rainbow over Lake Superior. 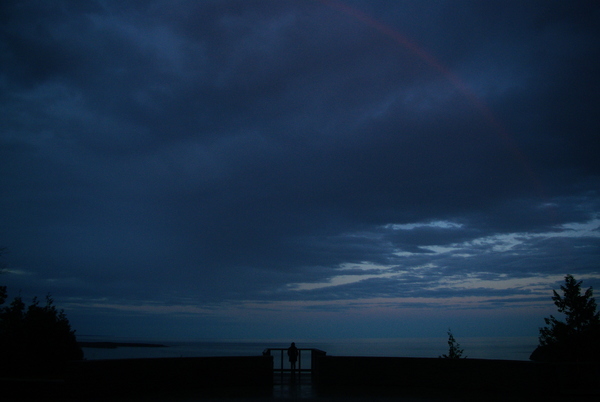 As we were admiring Lake Superior again, late that rainy day evening, a rainbow was presented to us. 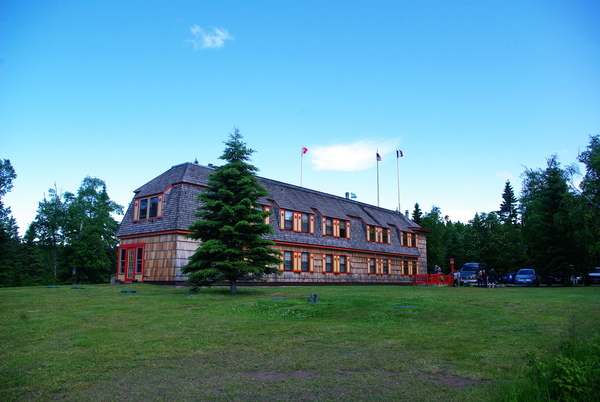 We stayed the night in Grand Portage Lodge and Casino, which provided decent accommodation. Would have loved to check out the casino too, but we were too tired for that after a day of wandering. 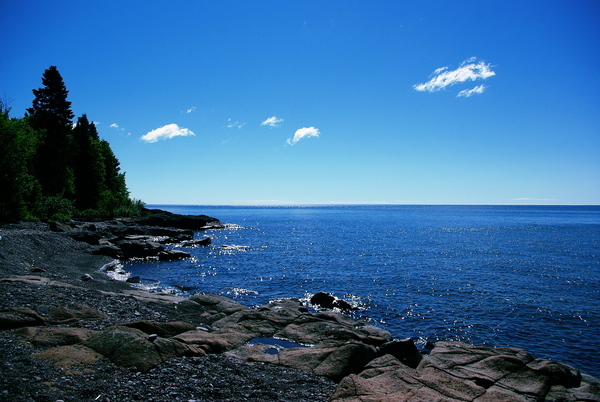 Ever since visiting Copper Harbor, Michigan, the year before, we have been talking about visiting Isle Royale National Park One of These Days. Isle Royale is an island in Lake Superior, and it is the least visited national park in the lower 48 states, and it is part of Michigan, but ferry ride is shorter from Grand Portage, Minnesota than the one from Copper Harbor, Michigan. 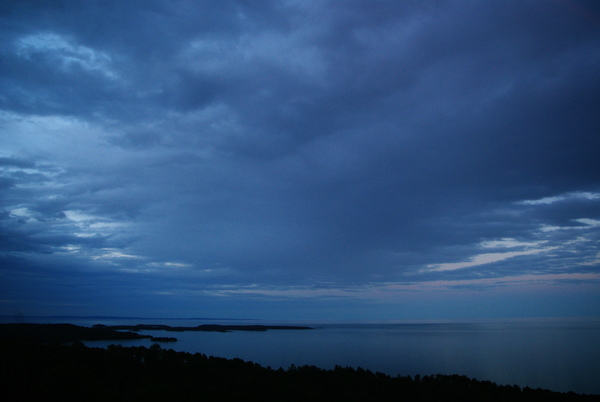 Figure 11: Somewhere in that direction lies Isle Royale National Park. Our drive back home was long, and we chose to drive home late instead of staying the night somewhere along the way. This turned out to be not such a good idea. I was tired, and it was late night, and the road was unfamiliar, and I drove like an idiot, and I put ourselves and others in danger. I took a right turn, and it was too dark to see the road marking, and I drove straight into the other lane, into the oncoming traffic, and there was traffic coming from behind us. Luckily everyone else acted saner than I did, and disaster was averted. Note to self: (1) Do not drive when tired. (2) Do not drive late at night. Ever. I also lost a bunch of pictures I took in the beginning because cameras and memory cards are way too mysterious for an idiot like me to handle, but that is okay, because in the end it is the experience that matters, you know? Figure 12: The "Naniboujou" Danish Creme. 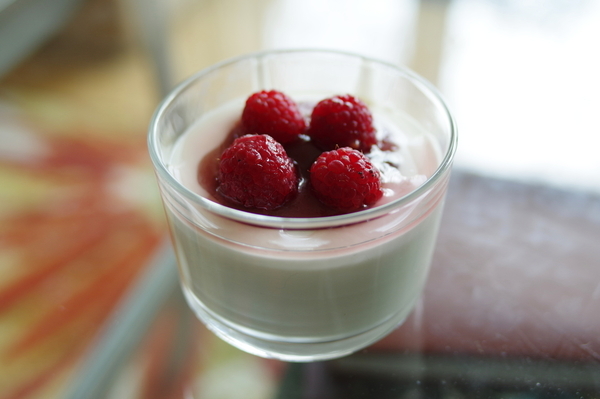 We found a recipe for the Danish creme dessert we had at Naniboujou in the Internet, and successfully recreated it at home with some minor variations. Some kind of berry or fruit sauce, jam, or jelly. Sprinkle gelatin over cold water. Let sit. Warm heavy creme and sugar on stove top, just enough to melt sugar. Add vanilla extract. Microwave gelatin + water mixture for about 30 seconds, and stir until all gelatin is dissolved. Add the gelatin + water mixture from step 3, and heavy creme + sugar mixture from step 2, into sour creme. 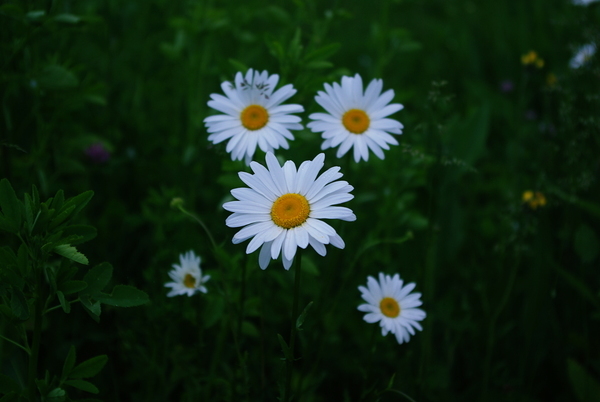 Mix or beat well until there are no clumps. Pour into 8 or 10 serving cups. As an optional step, while pouring the blend into serving cups, layer with berry/fruit sauce, or jam or jelly diluted with a little water. Chill in refrigerator for about 4 hours until set. Before serving, top with whipped creme and some fresh berries. And that is how we occasionally re-live our Naniboujou Lodge experience.